Kasoori Methi - 1 teaspoon. Mean time, microwave the frozen vegetables up to 5 minutes or until nicely cooked. Take the cooked/drained pasta in a oven safe dish ( I used Pyrex). Mix pasta sauce (I used Safeway Select Tomato Garlic Flavor) to the cooked pasta. Add the cooked vegetables to it and mix everything well. Broil it for 5 to 7 minutes until cheese is fully melt. 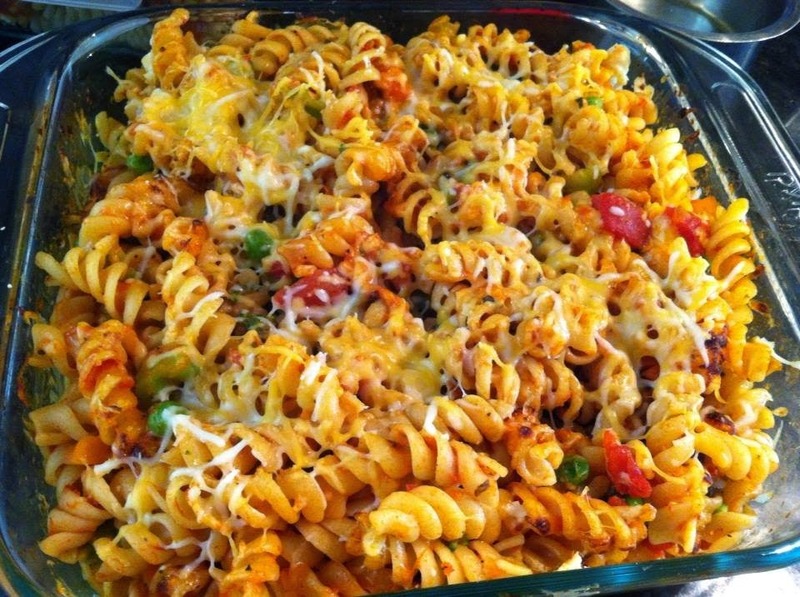 I dry roasted a teaspoon of Kasoori Methi and sprinkled on top of this pasta at the final stage. This is absolutely optional.